Great for users who can't get enough RGB! Let’s face it, RGB components/peripherals aren’t necessary to build a powerful gaming rig, but boy do they look cool! If you’re one of those PC gamers that’s obsessed with anything and everything RGB, this new product is worth a look! 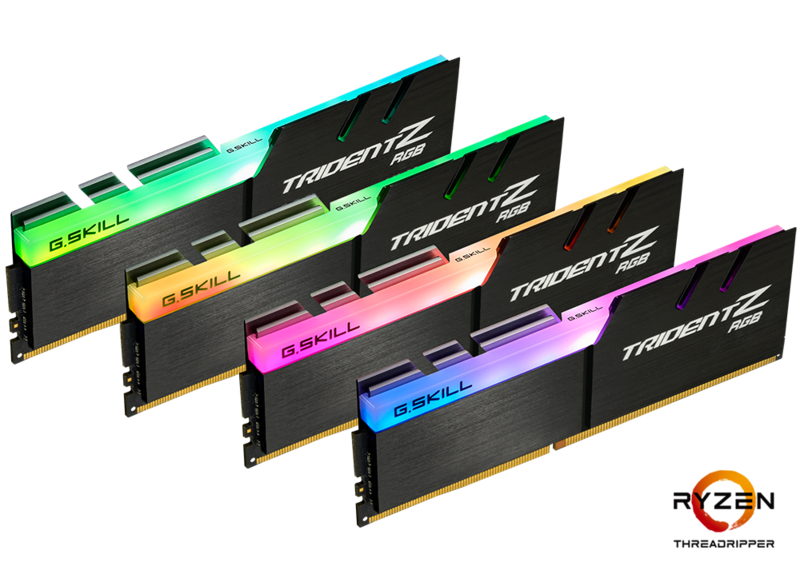 PC Gaming equipment manufacturer G.SKILL recently announced its new Trident Z RGB DDR4-3466 Memory Kit made for the AMD X399 Platform. This means that the Trident Z is a great match if your rig uses a new AMD Ryzen Threadripper processor. RGB lighting may be the Trident Z’s most eye-catching feature, but it’s no slouch when it comes to performance. Previously, the highest DDR4 speed available for the AMD X399 platform from G.SKILL was DDR4-3200. G.SKILL is now expanding the specifications to DDR4-3466 under the quad-channel configuration. The Trident Z has also been validated with the ASUS ROG ZENITH EXTREME ALPHA motherboard and AMD Ryzen Threadripper 2950X processor. 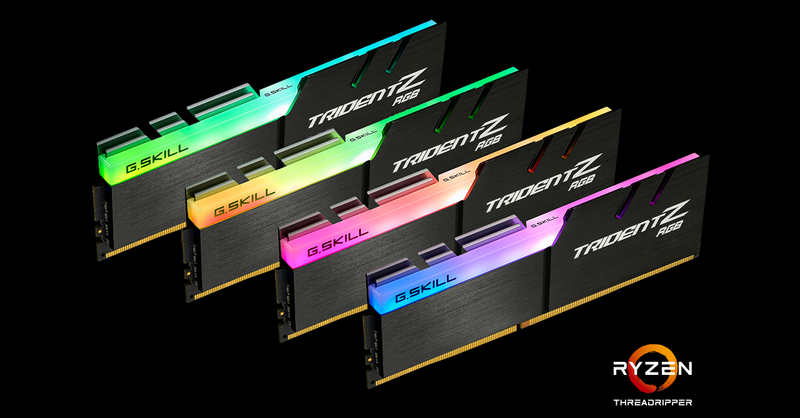 Interested in upgrading your PC memory to the Trident Z? These new memory kits will be available via G.SKILL worldwide distribution partners sometime this Q1 2019. Previous articleThe Spider-Man: Far From Home trailer is here!